Or at least show a bit of interest. “actively come out and court companies like ours” with a unified package of incentives and benefits, he said. These could include a lower headline tax rate, and other financial concessions or benefits in exchange for specified investment, jobs and revenue outcomes from biotech and technology. Blood products giant CSL (the privatised Commonwealth Serum Laboratories) and hearing implant pioneer Cochlear are genuine world leaders, and the only Australian companies along with Telstra and Aristocrat Leisure (gambling machine manufacturer – we should be proud!) that made a PwC list of the top 1000 global research and development spenders in 2017. Business R&D went backwards from $18.9 billion in 2013-14 to $16.7 billion in 2015-16. They say Peter Dutton’s original skilled immigration changes would have devastated local business R&D. While the government backpedalled after an outcry it didn’t go far enough. Approvals are too slow and uncoordinated through levels of government and the competing states. It’s not just tax, we need to smarten up the whole business environment, be active in pursuing dynamic companies with R&D plans, and refund Austrade. there are indeed “functional psychopaths” among us—different from their murderous counterparts—who use their detached, unflinching, and charismatic personalities to succeed in mainstream society, and that shockingly, in some fields, the more “psychopathic” people are, the more likely they are to succeed. Dutton argued that many of the key skills associated with journalism – being charming, focused, ruthless in getting a story – were key traits of psychopaths. Dutton added that many psychopaths do very well in an office environment and are often found amongst most senior management teams. In fact, he nominated the CEO as the career most suited to the psychopath. That’s because they’re good at creating a chaotic environment around them to undermine their workmates and get ahead. For perspective this article from 2016 tells us that about 1 percent of the population are psychopaths, whereas 4 percent of business leaders and CEOs are psychopaths. According to Dutton, Donald Trump is a psychopath “because of high scores in the perceived traits of fearless dominance and self-centered impulsivity”. This article gives a list of the signs and symptoms of psychopathy. This article talks about the similarities and differences between psychopaths and sociopaths. 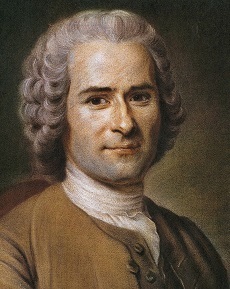 Any crimes committed by a sociopath, including murder, will tend to be haphazard, disorganized and spontaneous rather than planned. When committing crimes, psychopaths carefully plan out every detail in advance and often have contingency plans in place. Unlike their sociopathic counterparts, psychopathic criminals are cool, calm, and meticulous. Intelligent psychopaths make excellent white-collar criminals and “con artists” due to their calm and charismatic natures. My interest in this was sparked by an interview with ABC RN’s Patricia Karvelas. I don’t think she’s a psychopath. On the same night Karvelas interviewed Dr Jim Stanford, Director of the Centre for Future Work at the Australia Institute. He is joint author of a new report The Dimensions of Insecure Work: A Factbook. Because of our weak labour laws we are world champions at this among the industrialised countries. 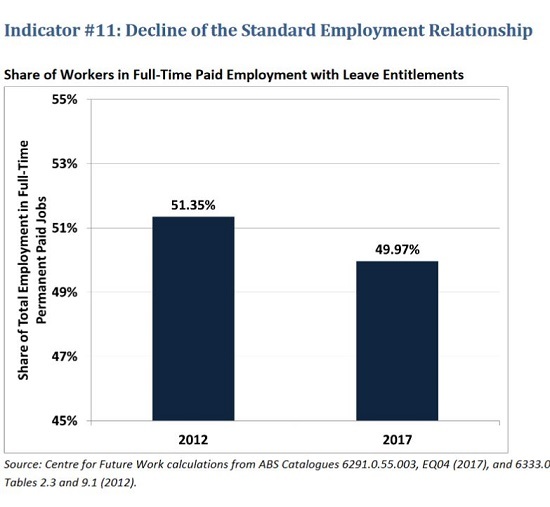 For the first time a minority of employed Australians have a ‘standard’ job, with sick pay leave entitlements etc. 55 per cent of employees under age 25 are in casual jobs. … Average earnings for workers under 25 are just $561 per week –less than half the average for the overall labour market. That’s the long story from Der Spiegel, of what is happening in Italy, which may be the most important current influence on our economic well-being. It’s worth watching. The short story is that the Italian president refused to accept the appointment of the finance minister put forward by the cobbled together government after the March election. The Five Star Movement and Lega which heads a centre right grouping, both populist parties, are united in their hatred of Brussels and Berlin. It’s about Europe’s foundational values on human rights in the context of refugees and immigration, as well as what to do about debt. The president couldn’t cop the appointment as finance minister of a proponent of exiting the EU. Italy’s debts are large. Too large to bail out or to contemplate default with equanimity. Now the situation has led to a capital flight. Macron wants to re-found the EU, and set up a contingency fund for a crisis. Problem is that the crisis can be seen and it’s big. She says the best outcome, which may not be sufficient, is a restructuring of Italy’s debt. This will require negatiotions, which are usually inconclusive in the first, second and even third rounds. Yanis Varoufakis blames Angela Merkel’s austerity policies, and an unwillingness to come to terms with the situation. He says if Italy is forced back to the polls support for the anti-EU parties will increase. However, he broadens the issue, saying migration and refugees are tearing Europe apart while it is under seige from Putin and Donald Trump, the latter in relation to Iran and tariffs. On Iran European international companies have to choose whether they want to trade with Iran or the US. Forced to insist that Germany, the European Union’s most populous country and its largest economy, would uphold the Iran deal, Merkel found herself immediately humiliated as one German company after another pulled out of Iran. All were unwilling to challenge US financial might or to forfeit the tax cuts Trump had delivered to almost 5,000 German companies with a combined balance sheet of $600 billion. And, before the Iran shock had been absorbed, the US threatened a 25% import tariff on cars, which would shave at least $5 billion annually from German exporters’ revenues. Germany and Europe have increasingly relied on exports to the US to stay afloat, putting them at Trump’s mercy. the same incompetent policies that gave rise to the xenophobic, anti-Europeanist Italian government also bolstered Trump’s power over Merkel. All of this was predictable – and in fact was predicted. So no one should be surprised by the position in which Merkel and Europe find themselves today. But only a dangerous fool would celebrate. “ Weak labour laws “ ? For whom and compared to what ? I as an employer, i must conform to a confusing plethora of enterprise laws with huge financial penalties. Compared to a large number of countries within the OECD. Beyond that read the report and listen to the linked interview. I’m about to set sail with my wife to Canungra, which for the unitiiated is about an hour’s drive SW, near the border ranges. Tomorrow morning we’ll be up before the crack of dawn to go on a balloon ride followed by a champagne breakfast. It was a birthday present from our son to my wife last year. I thought if she’s going to have the fun, or kark it, I’d like to be there too. Compared to a large number of countries within the OECD. Beyond that read the report and listen to the linked interview. 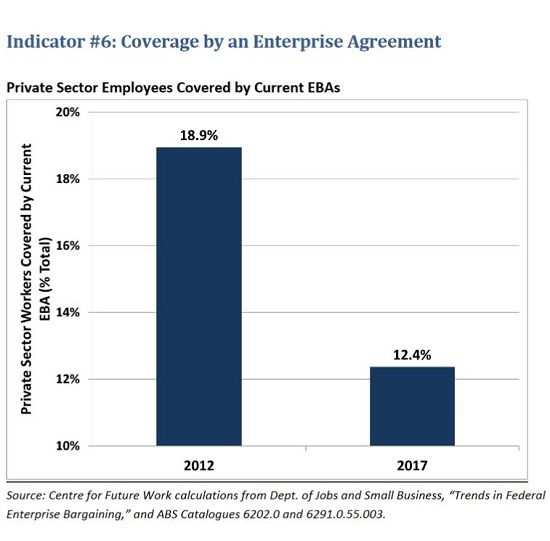 Given the high amount of small business employers going bust would indicate most jobs are insecure, “ bosses “ included. What must be acknowledged is that every dollar that an employee takes home is payed for by another employee somewhere plus the cost of the regulation applied. To employ someone on $30/hour ( before tax so take home is about $6/hour less ) it cost $45/hour roughly. Raise the take home by 10% and see the employment cost. Turns out the person I trialed on Saturday showed potential but she’s over 21yo. Turns out regulations have it that employing an over 21 yo for an apprenticeship is, after doing the math, twice the cost of an under 21yo for doing the same job. She and I are more than willing to meet halfway but that’d be illegal so no. Oh, and the under 21 1st year apprentice wage is the same as she’s getting now in child care, so she’s prevented by law getting $150/week better off by changing to a male dominated industry. That sounds silly Employer J. As a contrast, it is well recognised by many universities, that mature age (say 25 to 50 years old) applicants can make very good students, whether undergrad or research students. # Experienced in employment, sometimes related to the area of study. Contrast these qualities with some characteristics of some of the school leavers who enrol at uni but aren’t really sure why they’re there, and aren’t motivated to study. Here’s hoping you have an enjoyable and safe balloon trip. As to the champagne, is it correct to say Prost!!! I think I’m agreeing with you Mr A that we can’t know the contributions or potential of an individual regardless of age and this regulation is stupid. Keep in mind that most participants in my field are largely incompatible with the education system they were put through. Put more stupid regulations on us at your peril, employees and customers both. Also more employers is better than less can be a takeaway from that link, we make a difference for the good. Graph 3.1 is actually on page 10 (you’re welcome). A more telling breakdown is on page 4 which says non-employing businesses account for around 60 per cent of total business counts, micro enterprises (1 to 4 employees) represent around 25 per cent of total business counts and businesses with 5 to 19 employees represent around 10 per cent of total business counts. In truth, 60% of Australian businesses have no employees (something I find strange) and 35% have between 1 and 19 employees. Yeah, self employed, sole traders, too fearful of the next step due to the enormous regulatory burden. I’m still waiting to find out your extra costs of employment. My searching reveals that Workers Comp and Payroll tax should add around $2.40 to the $30 an hour you quoted. Almost everything else I can find (super, long service leave, annual leave, sick leave, public holidays) should actually be included in the pay rate since it accrues to the employee, e.g. a nominal pay rate of $30 an hour is in reality more like $37.50. Still a long way short of the $15 you claimed at 1:31 pm. Funny, my PDF has that on page 5. Small businesses play an important role in any economy and account for the bulk of business counts. The proportion of business counts (actively trading businesses) by employment size in Australia remained broadly stable over the past decade, with non-employing businesses accounting for around 60 per cent of total business counts, followed by micro enterprises (1 to 4 employees) representing around 25 per cent of total business counts and businesses with 5 to 19 employees representing around 10 per cent of total business counts. Larger businesses also play an important role in the economy given their competitive advantages through economies of scale. They are also more likely to innovate and export. Medium (20 to199 employees) and large businesses (200+ employees) together account for around 5 per cent of the total number of businesses in Australia over the past decade. Unfortunately the biggest employer ( and growing) pays no tax at all, presumably because it runs at a massive loss. Ops, last sentence is mine, format fail. I will admit the info is a little confusing for those that have never gone through the arduous process. 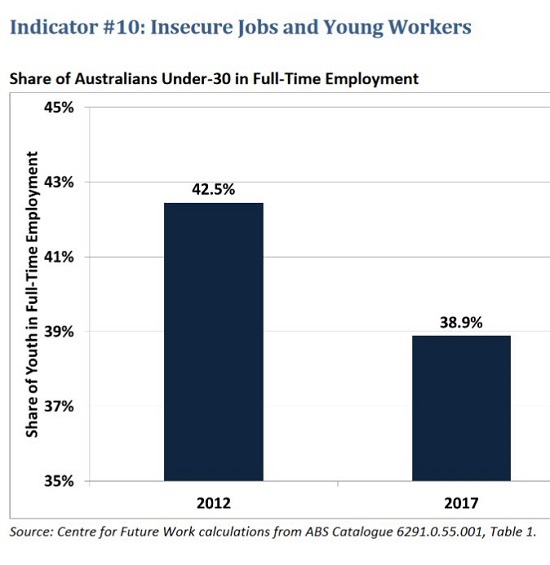 For starter they put non employing businesses ( that obviously employ 1 using an ABN [ Australian Business Number] ) in the 60% rather than 1-4 being 85%. Yes, I meant an age restriction, if it applies. I didn’t mean your employees needed to go to uni. Besides which, building can be very rewarding, personally, I bet. And socially useful, practical, with relatively quick results and plenty of challenges. I would like to add No. 11 to that list: Senior Military, Naval or Air Force Officers. Not for doing cold-heartedly what is sometimes unpleasant but necessary in war. That comes with the territory. No. I’m thinking of the ones who degrade the effectiveness of armed forces, either in peacetime or well away from operational areas in wartime. One in particular, upon whom “honours(?? )” were showered, (well, this is Australia after all and we do have some weird native customs here); he was manifestly incompetent in confounding and frustrating The Enemy so, instead, he confounded and frustrated his own troops. The trouble is that although he was an unreliable psychopath and a pathological liar, his fellow officers kept covering up for him: some out of fear, some out of awe, some because they didn’t want to rock the boat and some because they refused to admit the evidence of their own eyes and ears. The successes of such psychopaths are undoubtedly more imagined than real – but still they tend to prosper rather than being sacked, hence the organizations with which they are part either never recover or else recover very slowly and remain damaged. In this OECD data, the employment range for small Australian firms actually represents certain firms with between 0 and 9 employees, inclusive. So according to the publication you linked to, Australian sole traders are not counted as employees. Whether they have an ABN is immaterial. I agree, the info is a little confusing for those that have never gone through the arduous process. Yes, it is, but we didn’t. Great experience. I think the whole operation was very competently executed. Notable that the introductory video in the bus had English and Chinese versions. We did have a family from Shanghai on board. Very much off-season at present. 20 hours from our front door to back again. Five hours hot air and breakfast, which was at the O’Reilly’s Winery near Canungra. Might do a post if any photos came out. In the bus on the way back we passed an accident scene. Very open T junction, but by the look of the vehicles someone had to be dead. Apart from the road smash afterwards. Ambi, I heard on the radio about a crash in the area. An 80 year-old woman had to be cut out of a car. Unfortunately deceased. The driver of the other car had to be taken to hospital. It was a ute. I think the 80 year-old must have driven out in front of the other vehicle, probably doing close to 100 kpm. Jump, I’m not an expert on industrial relations and workplace regulations. Stanton is, and says the Australian laws have tilted too far in favour of employers. With weak union coverage there is also a problem about how well the laws and regulations are policed. I would not be surprised over on-costs of 20 to 25%, but 50% looks too high. Zoot I’m a ‘sole trader’ just work for an hourly fee, no oncosts. I also have an ABN and a GST exemption, because I don’t earn all that much. So people can pay me by bank transfer and claim my services as a business cost if they wish and depending on the circumstances. If sole traders like me count as businesses then 60% of Australian businesses having no employees would not surprise. Ambi, re China’s Great Wall of Debt, I’ve got a link somewhere to an article about China’s habit of building whole cities, with art galleries, parks and such, but no-one, or almost no-one is living there. Essential poll has Labor 54-46 in a bit of a blowout. I guess the Barnaby circus may be more than coincidental. Wasn’t he always a bit of a clown? It seems some Nats would wish him to resign from Parlt. Looks as if he’ll be a burr under the saddle for nice Mr Turnbull if he stays. Somewhat similar, then, to Mr Abbott, the Aids and Abets boy, Ms Cash-no-comment. What a topsy turvy old country it is, eh? Meanwhile there are serious matters to be dealt with. Let’s hope some of the Public Servants are keeping up with their reading, estimating and checking. In Another Place the Pres thinks he can pardon hisself. In an even Otherer Place, the Pres has appointed himself Pres-for-life. Apparently he was an outstanding candidate: he told himself so. By the way, now that the market has established that the price of a Retail Politician is $150,000 how much does a Wholesale MP cost?? Not sure if the retail price of a politician is actually $150K. After all, there were all sorts of special circumstances in Barnaby’s case (for a start, a marriage break-up is never cheap). I’m inclined to think the going rate for a noisy-on-command backbencher would be well under $50K plus a few pats on the head, a couple of stewing bones and a shake-paws and belly-scratch or two. Given the way things are going the LNP must be starting to think that getting rid of Barnaababy for $150,000 would be a bargain. In recent years the payments in the UK seem to have been made directly to Party campaign funds, as in the USA. It could never happen here, thank goodness. I was tickled that the bloke the journalists have been calling “Australia’s Best Retail Politician” had put himself out for Media Tender. So tender. Campaign funds are another matter, Gina. A separate account. Not directly to the candidate, and not in public, Gina. Behave!! Gina is CEO of that worthy corporation Beck and Call. Ah, yes, but the worrying thing is that she might be at someone’s beck-$-call in turn. Many decades ago, Eddie Ward is reputed to have admitted that he was on the take – but he said that at least all the pensioners and the unemployed in his electorate got a fair share of it too. And he kept getting re-elected and re-elected. Eddie, please come back; your country needs you! Hadn’t heard that before, Graham. Thanks. Eddie Ward came very close to being in the top Labor leadership. By the way, Paul Burns, the historian who has posted here and was a stalwart of the old Purple Blog, published a whole book that sank the rumour of the Brisbane Line. No such plan existed, he wrote. And other Aussie historians accepted his conclusion. Jump, there have been many clowns over there in the Canberra House and Senate. Sad but true. Inevitable, in any democracy? BTW, if Eddie took bribes, who bribed him? Trouble with bribes is that the more powerful the bribed, the more value has the bribe to the briber. Reducing the power of politicians would lower the benefit. Let’s face it, very few get caught and those that do don’t suffer. The stick is a useless deterrent so shrink the carrot. Sam Dastyari had to resign. In my book, that’s a kind of “suffering”. And then there was the very public disgrace. With skin as thick as his I doubt the shame was an issue for him. Other than independent senators, you won’t find a more powerful bunch of bribe magnets than in the Senate. Thanks for that link on Eddie Ward. The Press and the Establishment idolised Billy Hughes but it was the ordinary people, including a lot of war veterans, who praised and voted for Eddie Ward. So he opposed the increase of the Navy in 1936, did he? Politics makes strange bedfellows – and that would have put him in bed with all those delightful Australian businessmen who were so keen to increase trade with the Japanese Empire (and their own loot, of course) that they would see increasing our Navy would threaten their lovely trading partners (and their own loot). These same clowns cheered on everything the Japanese did in China right up to the time of the anti-Japanese embargo in July 1941 …. and their same spirit is alive in Australia today..